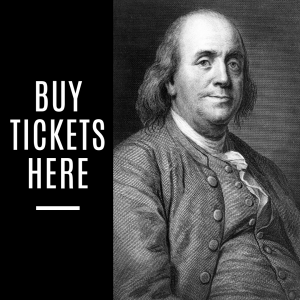 The Institute’s Ben Franklin Circle launched in September 2016 and has examined two of Franklin’s thirteen virtues every semester, for a total of twelve by the end of Spring 2019 semester. Led by a different member each time, our sessions have been lively, educational, and civil, though not always without heat. But with only one virtue left to explore, what to do? Luckily, the Mother Ship at the 92nd Street Y in New York City has responded to the crisis and come up with twelve new virtues: Empathy, Gratitude, Courage, Curiosity, Equality, Forgiveness, Compassion, Humor, Honesty, Love of Learning, Generosity, and Non-violence. We’ll begin working on this new list in Fall 2019. Meanwhile, if you see a virtue on the new list that interests you, join the Circle and claim it. The network of Ben Franklin Circles nationwide is growing, and we’re proud that the Institute was one of the first. The Dallas Institute in partnership with the 92nd Street Y, Stanford University’s Hoover Institution, and Citizen University in Seattle.